Our list of frequently asked questions to help you understand how the change to the Bank of England base rate may affect you. Following the decision by the Monetary Policy Committee to decrease the Bank of England base rate, we have undertaken a review of our current mortgage interest rates. This has resulted in the decision to reduce both our residential and buy to let SVRs by 0.25%, effective 1 September for new and existing customers. What is the Bank of England Base Rate? What change has the Bank of England made? How will this affect my mortgage as it is linked to the Bank of England Base rate? Have there been any other changes made to my mortgage terms and conditions? I am an existing customer. Where do I find details of your current products for existing customers? How will this affect my mortgage as it is linked to the Kent Reliance’s standard variable rate? My mortgage broker is currently in the process of submitting a mortgage application to you; do I need to do anything? I am currently in the process of submitting a Choices application to you; do I have to do anything? Interest rates have gone down but my mortgage payments have increased, why? I pay my mortgage by Direct Debit do I need to do anything? I pay my mortgage by Standing Order do I need to do anything? I have my Choices Offer letter, how has it changed since the rate changes? Does my new payment amount in my rate notification letter include any arrears or insurance products? The interest rates have changed but my payments have not? I recently accepted a fixed rate product for my mortgage which has not gone live yet but want to change it to a different product due to the rate change? This is the official interest rate set by the Bank of England’s Monetary Policy Committee. What change has the Bank of England made? They have decreased the base rate from 0.50% to 0.25%. How will this affect my mortgage as it is linked to the Bank of England Base rate? If you have a mortgage product that is linked to the Bank of England Base rate, then your monthly payments will change. We will confirm the changes in writing to you shortly. Have there been any other changes made to my mortgage terms and conditions? No, your account terms and conditions remain the same. I am an existing customer. Where do I find details of your current products for existing customers? Please click here for our latest product range available to existing customers. We will update this page with the new rates on 1 September accordingly. How will this affect my mortgage as it is linked to the Kent Reliance’s standard variable rate? This is the Kent Reliance standard interest rate that we lend money at. The rate is variable which means it can change in line with market conditions. If this rate is changed, we will confirm this in writing to you. My mortgage broker is currently in the process of submitting a mortgage application to you; do I need to do anything? Please speak to your mortgage broker who will advise you on whether the product applied for is still the most appropriate for your needs. I am currently in the process of submitting a Choices application to you; do I have to do anything? If the rate of interest change impacts the rate on your Choices product selection, then the mortgage payment may change. If you have returned your acceptance form and are happy with the product chosen and accept that the rate and amount of payment may change then there is nothing for you to do. If you wish to select a new choices mortgage product and your existing selection has not gone live please contact us on 0345 671 7274. If you require further information on how this affects your mortgage application please speak to your mortgage broker. Interest rates have gone down but my mortgage payments have increased, why? This could be due to your rate changing, e.g. recently reverting to standard variable rate. Another reason could be that you were not paying the correct monthly instalment prior to the rate change. Your new payment has been calculated to ensure your mortgage ends by the end of your mortgage term, and this could lead to a payment increase. I pay my mortgage by Direct Debit do I need to do anything? 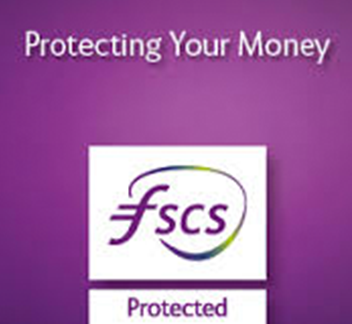 No we will ensure your correct mortgage payment is taken from your nominated Bank Account. I pay my mortgage by Standing Order do I need to do anything? If you have been notified of a change in mortgage payment, you will need to contact your Bank to change your monthly mortgage payment to the correct amount. It is your responsibility to do this if you pay by Standing Order. I have my Choices Offer letter, how has it changed since the rate changes? If we make changes to our current variable rates you will receive a new letter confirming the new rates. If the mortgage product selected is a fixed rate, then your choices offer letter is still valid. Does my new payment amount in my rate notification letter include any arrears or insurance products? The interest rates have changed but my payments have not? If your mortgage is on a fixed rate product, the recent interest rate change will have no impact on your current monthly payment. I recently accepted a fixed rate product for my mortgage which has not gone live yet but want to change it to a different product due to the rate change? As a gesture of good will, we will allow you to choose another product. So simply contact our Mortgage Servicing Team on 0345 671 7274 who will be able to facilitate your request.